Here is select list of national and international customers and clients. The services included consulting with start up operations, layout and design, process improvement, product development, cost reduction, and interim management consultancy. The customers range in size from individual operations to international companies with multiple locations. 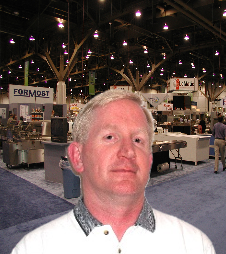 No matter what size operation you have, I am confident that I can provide you with a cost effective and practical bakery or snack food consultant solution. Eat'n Park Hospitality Group - Owners and operators of the Eat 'n Park restaurant chain and institutional contract service provider servicing the Northeast. 21st Century Foods - Manufactures Dr.Steins Energy Bars and Bagel Dogs sold nationally. Abbey of the Genessee-Produces nationally known Monks Bread sold throughout New York State and nationally through franchises. Signature Bakery - Largest independent fresh baked goods manufacturer in the Northwest. Rubicon Bakery - Internationally recognized non-profit organization with products sold nationally. Roth's Food Group - Owner's and operators of Roth's Grocery Stores in the Northwest. Desserts of Distinction - Manufacturer's of a nationally sold cheesecake line. ingredient supplier and distributor in Northern California. Creative Pastries - World class wholesale bakery specializing in European style cakes and pastries. Honey Bun Limited - Manufacturers of Honey Bun Rum cakes sold internationally. House of Bagels - Franchisor of bagel shops in Northern California. 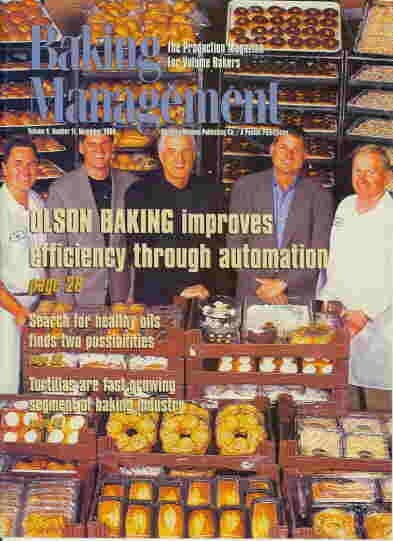 Bakery Equipment Service - Manufacturer and reseller of bakery equipment and production systems sold internationally. Astoria Baking Co - Start-up independent natural retail bakery and coffee shop.